G-I-V-E T-H-A-N-K-S written upon them, which was a good reminder to all who walked by & grabbed a yummy treat. It was exciting to see some new faces & some of those who returned after a little break. It’s such a blessing for me to be part of these girls lives & to make ourselves available to them. With our usual routine in play, they feasted on what looked like a beautiful spread of Thanksgiving favorites (thanks to First Christian Church for providing the meal and our food team for preparing it! ), then they played a game lead by Yousef, so you know that was a hit! Which was followed by the music portion of the night. Ok, so this part is always a little exciting for me, you just never know what your going to get! You might hear anything from Back Street Boys to Metallica & this week took it to a new level with Creed! The youth are really enjoying it either way…I think they’re still trying to figure out if this band is serious or not;) Then Laurie Bradley shared a very simple but compelling message from Matthew 16:13, where in He says to His disciples, “Who do you say that I am?” Pointing to how in culture we often look to people, judging them by what we see on the outside. Her point was that many people say Jesus is one thing or another based on the worlds judgment of Him. But who do we say He is? It was a good reminder to the group that we ourselves have to get to know God as He is & not how the world presents Him. After each message I am blessed & honored to lead the girls in a craft! This time is not only for them to relax & get creative but it’s a very sweet bonding time for them. I love seeing them crafting away & sharing in deep conversations! They walked away with joy in there hearts & an amazing tote that we made from just a simple men’s t-shirt! This craft was my favorite so far. It was another amazing third Thursday filled with laughter, fun & excitement! We are partnering with trees for a cause this year and we are super excited about it! Support YoungLives this Christmas season by pre-ordering your Christmas tree online here by Nov.22nd. You will be able to come pick up your tree on December 5th at the common ground ware house. Proceeds go to supporting, mentoring, and loving teen moms, dads and their children. Watch this video to hear a little bit more about the heart behind our ministry and the need for this fundraiser. 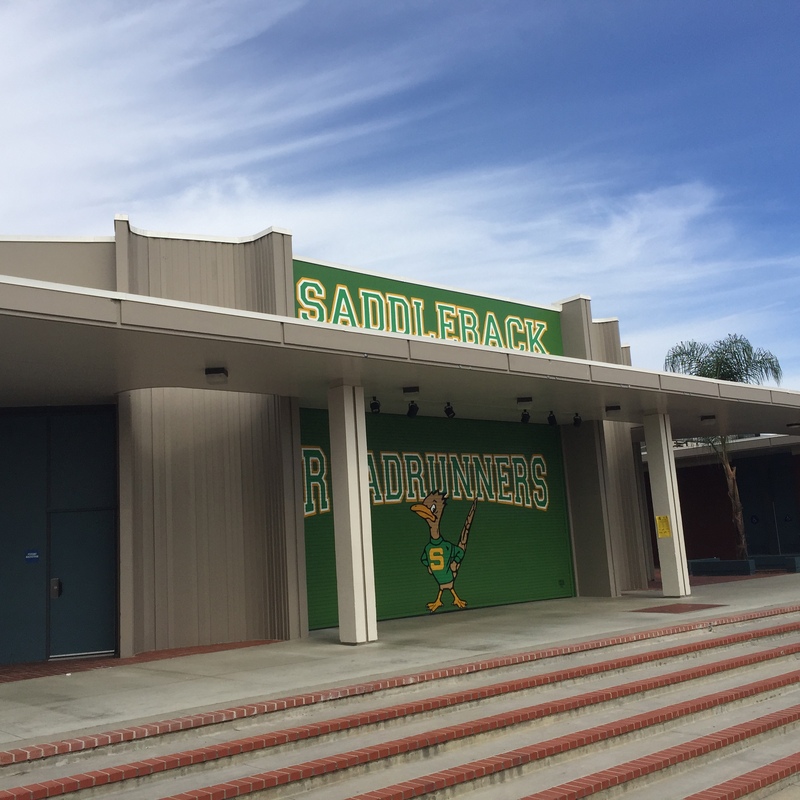 How God is moving in Santa Ana High schools! So I wanted to fill you in about what has been happening in the last few weeks. 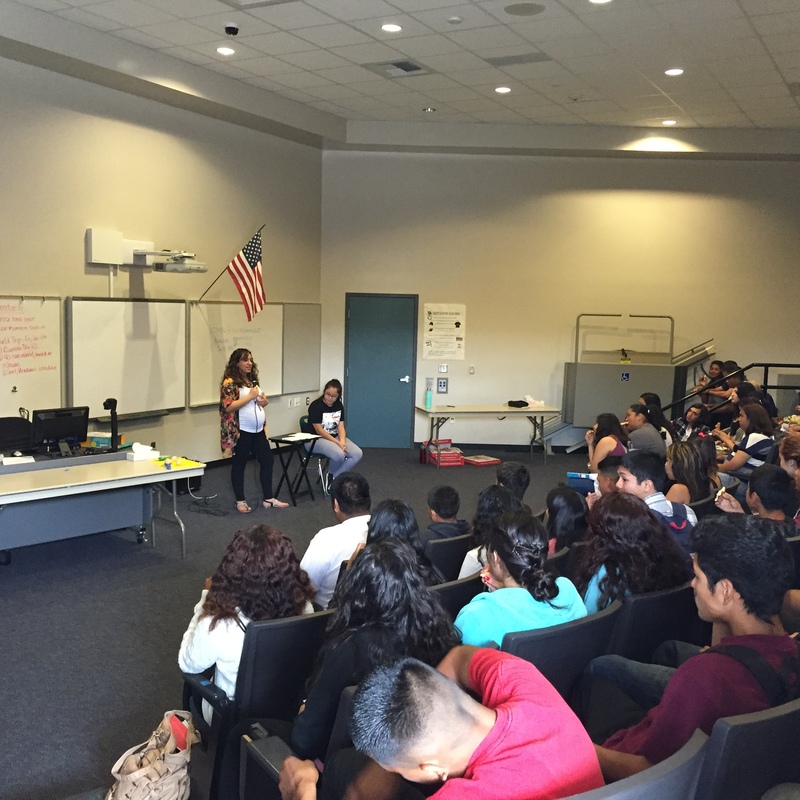 Myrna and I have gotten the opportunity to visit several schools in Santa Ana through their FCA clubs. We have gotten to share our testimonies, some pizza, and tell the them about YoungLives. It has been absolutely incredible to see how God has used these times to impact the lives of the high school students that we have encountered. We have witnessed over 40 students make a decision to follow Christ over the last few weeks! That alone is mind-blowing!! To see the light in these kids eyes as they walk through the doors, grab their pizza and sit down, its like all the stress, drama and craziness of High School goes away for that short time. They are highly excited (maybe because of the loud Jesus rap music & free pizza) or maybe because they know these people that come to their school every week actually love and care about them, they feed them, talk to them about their lives, and pray for them. I can’t even imagine what else God is up to in these schools. It has been a huge privilege to be able to be apart of something so big and that is impacting so many. Please continue to pray for these kids as well as us as we continue doing this weekly at different schools.